On May 21st the ‘March against Monsanto’ takes place around the world including Uruguay, Paraguay, Chile, Brazil, Bolivia, Argentina, the U.S., Canada, Australia, Japan, Mexico and several countries in Europe and Africa are joining the fight against the GMO giant. There is positive news on the battle against Western corporations that produce and sell Genetically Modified Organisms or “GMO” foods. Attitudes towards fast food chains and unhealthy products such as Coca-Cola and McDonalds have changed significantly. That is a positive change for human consumption but a negative for the McDonald’s Corporation, Coca-Cola, Monsanto and other GMO corporations. Can the trend continue? How far these food companies will go, still remains to be seen. 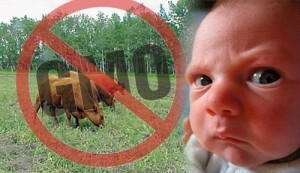 But the discussion on the importance of producing healthy, Non-GMO food by these companies is an important first step. Russia’s move towards the cultivating Non-GMO food is a clear victory against biotech giants such as Monsanto, Dupont, Dow Chemical Company, BASF, Bayer and Syngenta also known as the “Big 6”. Kenya banned the imports and the planting of GMOs on November 21st, 2012. The Kenyan Ministry of Public Health ordered public health officials to enforce the ban on the importation of GMO products and remove all GMO laced products from store shelves. Monsanto’s modified cotton seeds produce insecticides to poison butterflies and moths. Dr Charles Waturu, director of the Kenya Agricultural Research Institute (KARI), claims the Monsanto technology is the only solution, even though a recent Spanish study found Monsanto’s seed MON810 does not increase yields or reduce damage compared to natural maize. In the 1990s, USAID, together with Monsanto, helped spearhead a 14-year, $6 million project through the Kenya Agricultural Research Institute (KARI) to develop a genetically modified, virus-resistant sweet potato. The project has proven to be a failure. Local varieties outperformed GM varieties in field trials. Researchers in Uganda developed a virus-resistant hybrid through conventional breeding techniques at a tiny fraction of the cost. KARI continues to collaborate with the Monsanto Corporation and USAID researching biotechnological projects, advocating a model of agricultural development that relies upon a top-down approach and unproven, expensive investments. GM seeds can negatively affect soil and often flood markets, making it difficult for small farmers to keep up. Hybrid seeds are more difficult to germinate leading to increased costs for farmers. The Water Efficient Maize for Africa (WEMA) is “a public/private partnership, led by the Kenyan-based African Agricultural Technology Foundation (AATF) and funded by the Bill and Melinda Gates Foundation, Howard G. Buffett Foundation, and USAID”. Russia, Kenya, most EU member states and others around the world have banned or are in the process of banning GMOs are leading the Non-GMO Revolution. With Russia’s announcement that they plan to lead the world in exporting Non-GMO food is an important step. Hopefully more countries around the globe can follow in the same footsteps. The March against Monsanto is one other way to show the “Big 6” the fight will continue.